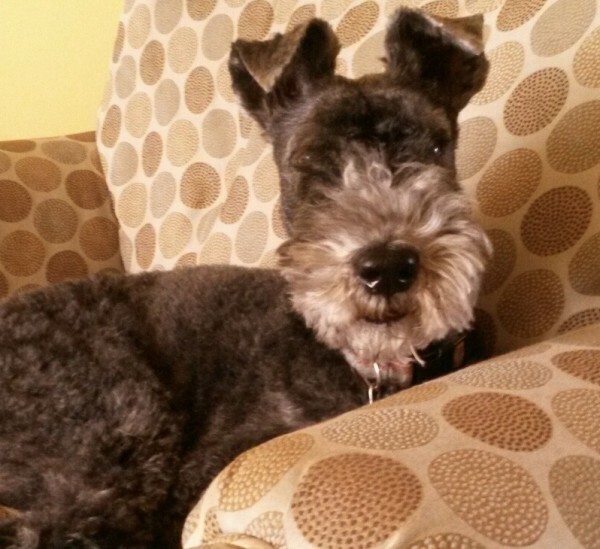 All summer long, our 11-year-old Kerry Blue terrier, Neala, was sluggish. I attributed her lethargy to the prolonged heat and her age. It was after she developed colitis that we knew something else had caused her sudden downturn. 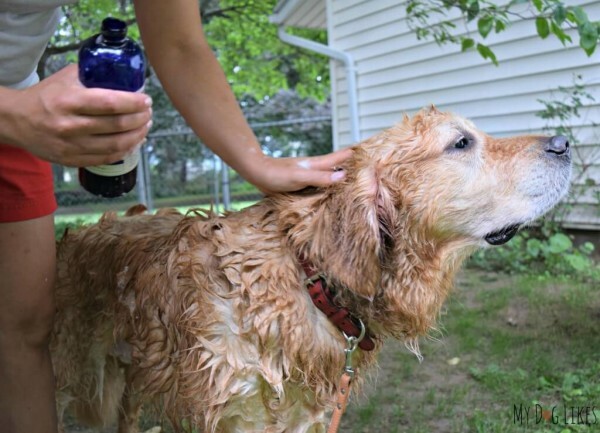 Antibiotics and a bland diet seemed to do the trick, but as soon as we gradually reintroduced her to her ordinary food, the colitis returned immediately and with a vengeance, which meant yet another cycle of antibiotics. Our vet concluded Neala had developed a hypersensitivity to her commercial dog food, and he suspected the fat content level was the culprit. He explained that dog food labels present a minimum fat content but that actual percentage levels could be double or more. There simply was no way to know what, exactly, Neala was eating. We tried, very briefly, to find a food that agreed with her gut, but every time the colitis returned. 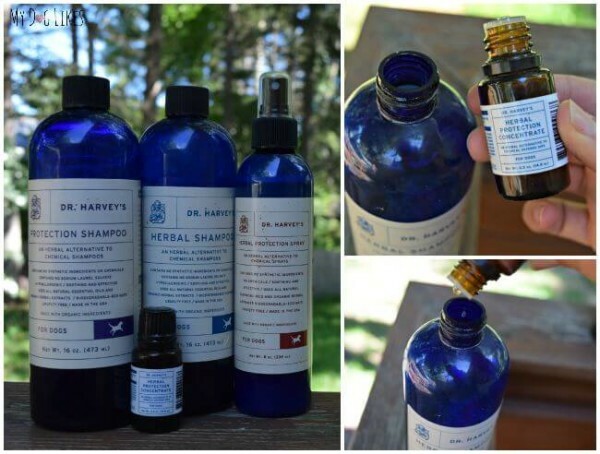 It was actually our dog groomer who had suggested trying Dr. Harvey’s. 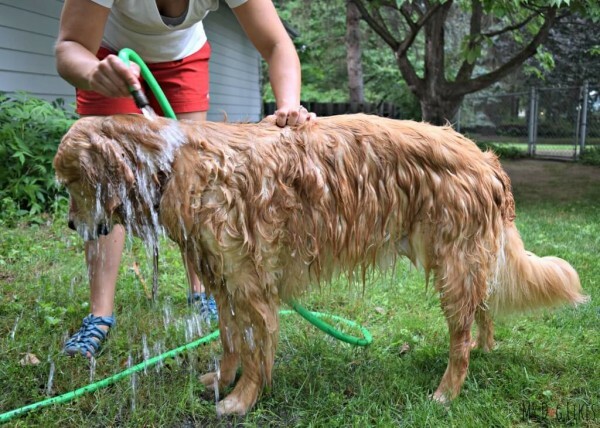 Her own dog had suffered from much more serious ailments and had done beautifully on the Dr. Harvey’s regimen. I was willing to try anything to help my dear Kerry. And just like every testimonial I read, my dog’s story has taken on the rosy glow of success. 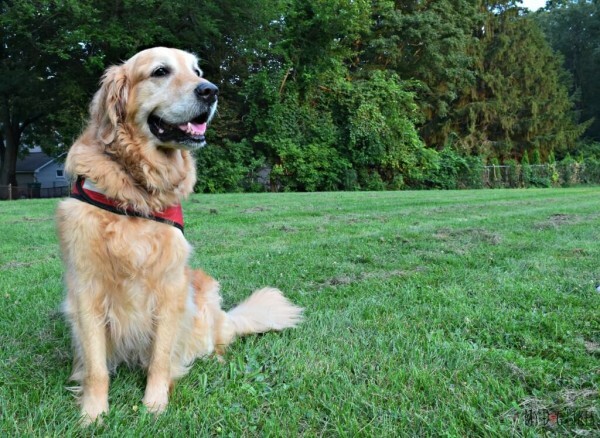 She took to Canine Health immediately, without hesitation, and in a matter of just a couple of weeks she was restored to the happy, healthy, energetic dog she’d been before the horrible colitis cycle. Now we alternate between Canine Health and Veg-to-Bowl; Neala loves both. It’s such a relief to know exactly what I’m feeding her, controlling both the type and amount of protein and healthy oil. It makes me sad to think all the while I thought she was “simply old,” she wasn’t feeling at all well. This has been a remarkable product for us, and we are deeply grateful to have our dearest friend returned to good health. Thank you! 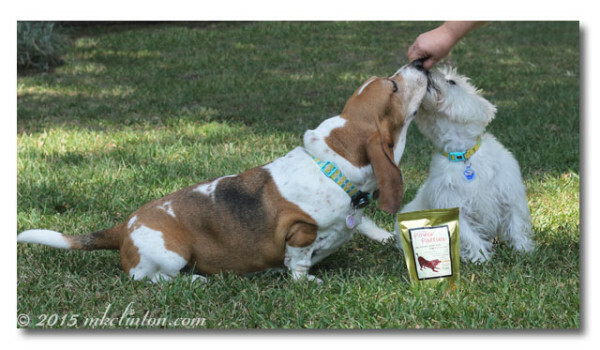 This is a recent blog post from dog blogger and Dr. Harvey’s Brand Ambassador Bernard Lima-Chavez. 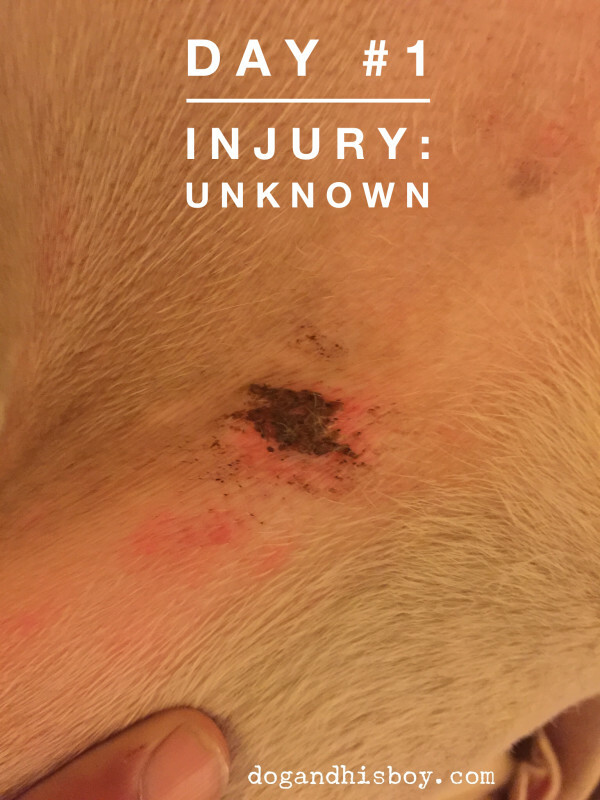 In a recent post from his blog, A Dog and His Boy, “Why I Choose Dr. Harvey’s Organic Healing Cream”, he discusses his remarkable first experience when he used Dr. Harvey’s Healing Cream on one of his dog’s wounds. 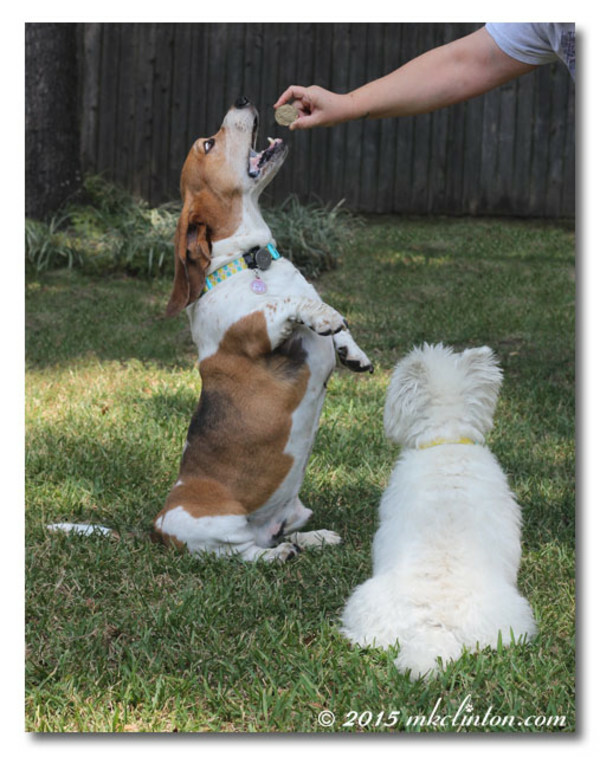 We love this blog and its honest perspective on being a pet parent. 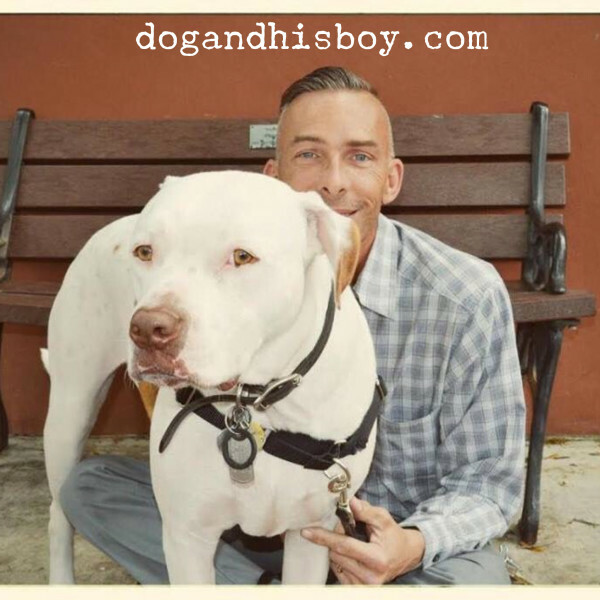 Bernard is also a spokesperson and advocate for deaf dogs. Deaf or not, bully breed dogs occupy a special place in my heart. They are the most passionate, loyal, affectionate and hilariously funny dogs in the whole wide entire world. They are lovable clowns who want nothing more than to sit in your lap, lay on your head and lick the inner workings of your ear. Oh, and rocks. They love rocks. Living with a bully dog is different than living with other dogs. Their brain works differently. They have quirks. They’re both special and “special”. For one thing, they’re very verbal, especially during play. That bass voice rumbles and thunders and every once in a while erupts into a bark. Their spinning and body slamming is punctuated by lip pulling and ear nibbles. Play time is noisy, it’s rambunctious and it cracks me up. Bullies also love to run- usually head-first into something. Shrubs, trees, fences, walls, doors, my husband’s knee; these are not obstacles but rather challenges to meet, and my money is on the dog. The downside here is an endless parade of minor cuts, bruises and superficial lacerations that appear out of nowhere. Literally. I can walk into the kitchen for another glass of “juice” and return to an injured yet smiling dog. 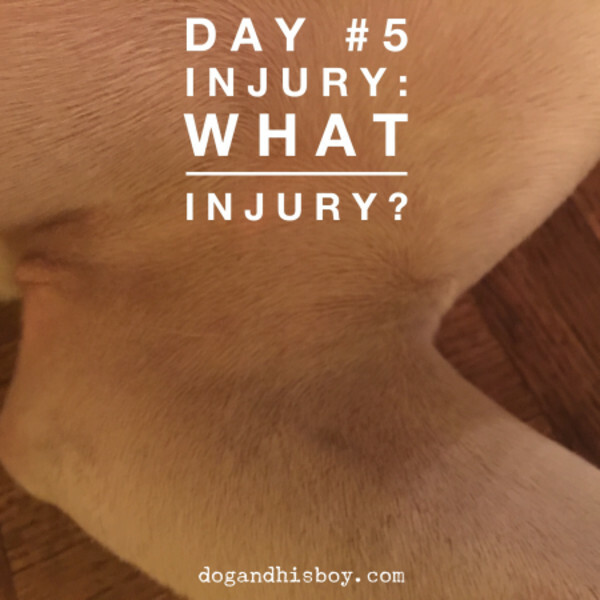 Every week, it seems, at least one of them has a minor injury of unknown cause. 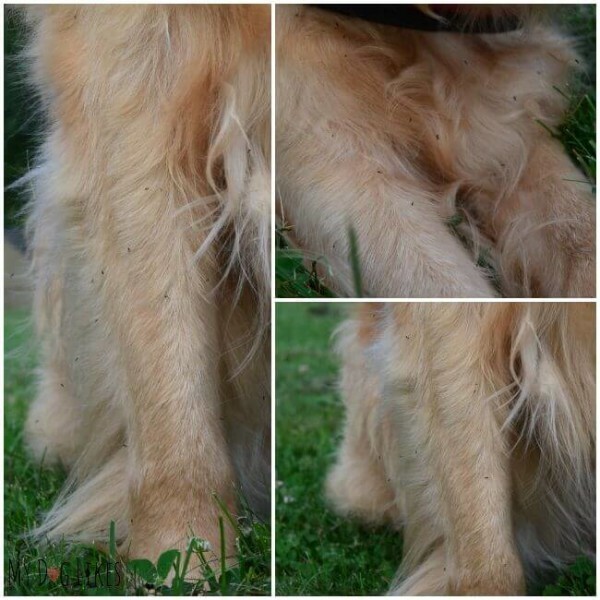 Two weeks ago, I noticed an injury under Foster’s left front leg. It was red, slightly inflamed and scabbed over. Nothing major and nothing unusual here at Deaf Dog Central. 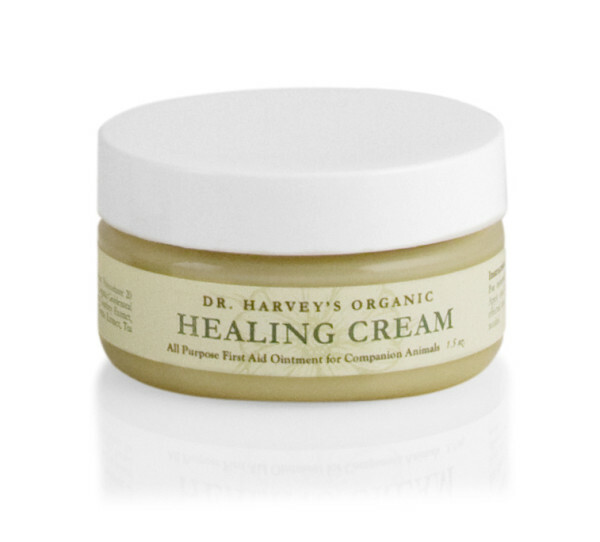 Fortunately, I had a jar of Dr. Harvey’s Organic Healing Cream waiting for an opportunity to test it, so I did. Here is a photograph of the injury the night I discovered it. The After Photo-Injury? What Injury? 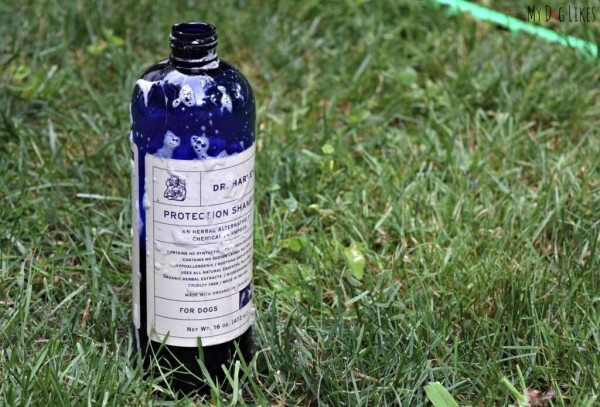 Normally, I would clean an injury with chlorohexidine before applying a cream or ointment, but I wanted to see just how effective Dr. Harvey’s Organic Healing Cream was at being a natural first-aid cream. I applied the ointment twice a day, every day for 5 days. I did not clean it with chlorhexidine or any other antimicrobial cleanser. Here is a photo after 5 days. 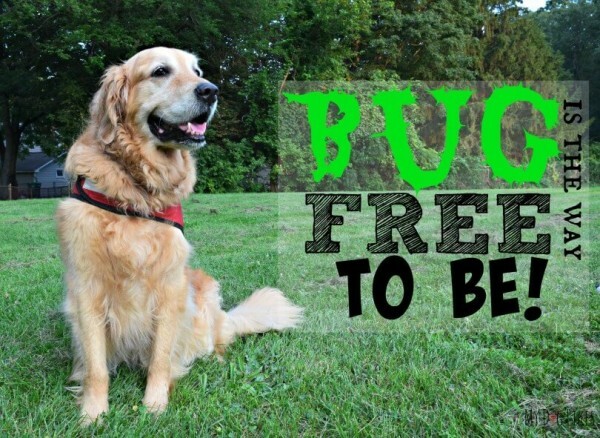 As a pet parent and deaf dog blogger who integrates a holistic approach to wellness, I try to support my dogs and their medical needs naturally. 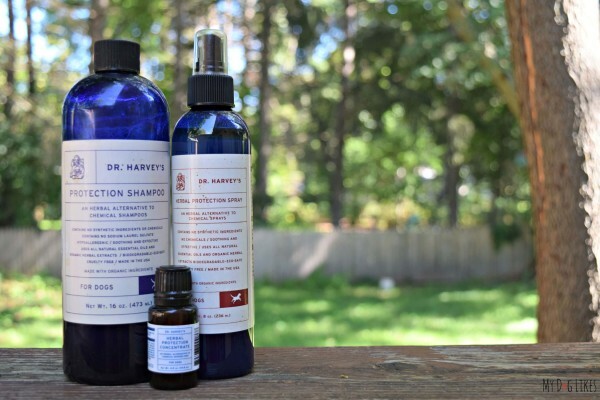 Having a company like Dr. Harvey’s available helps me achieve and maintain good health for my dogs in a completely natural way. The results were incredible but I looked deeper at the ingredients to understand why it worked. Organic Shea Butter. 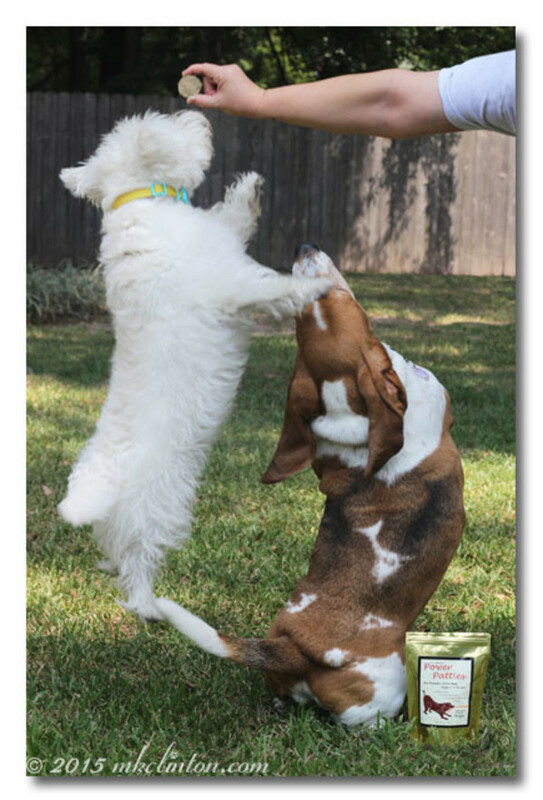 The base of Dr. Harvey’s Organic Healing Cream is Shea butter, which is rich in Vitamins A, E and F.
Organic Aloe Vera Extract is used in lots of human products and offers the same benefits to dogs. It’s natural, cooling, soothing and healing. Organic Calendula Extract is an excellent anti-inflammatory that also has antifungal and antibacterial properties. Propolis Extract is harvested from beehives and provides anti-inflammatory and antibacterial benefits. Organic Thyme Extract is a wonderful naturally occurring antiseptic which is important in promoting healing. Organic Rosemary Extract is another good antiseptic and pain reliever. 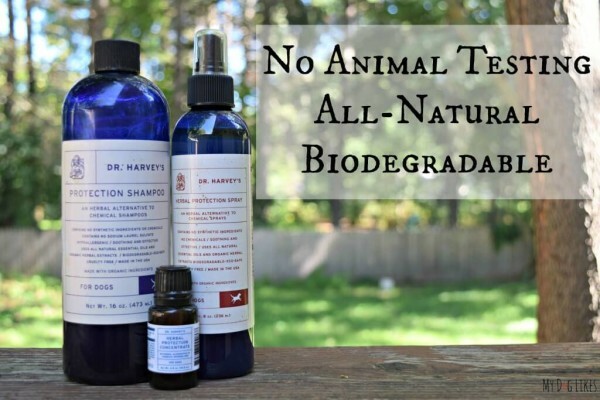 My new favorite way to treat minor bully dog “brotherly love scars” is with Dr. Harvey’s Organic Healing Cream. 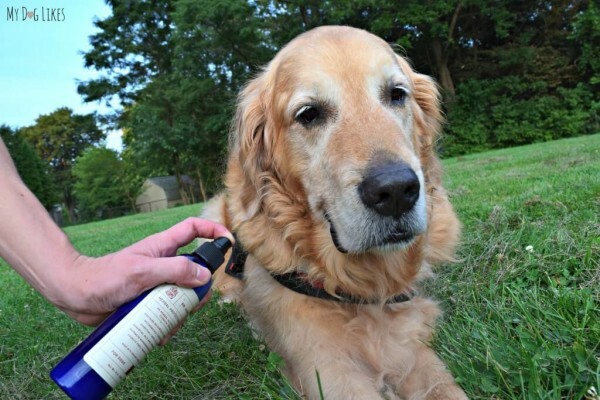 It’s an all-purpose first-aid cream that is safe for both dogs and cats. 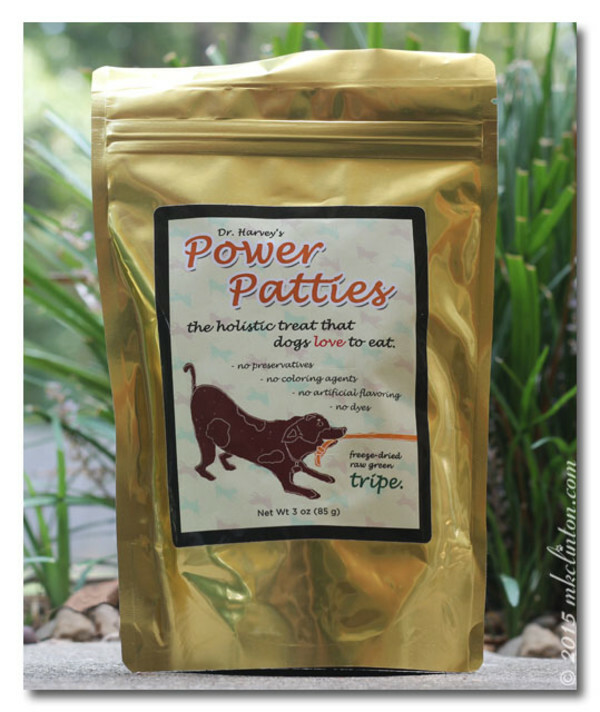 It’s made of ten all natural, organic plants and herbs in a base of Shea butter. It provides pain relief, reduces itching and promotes healing, and I swear by this stuff!